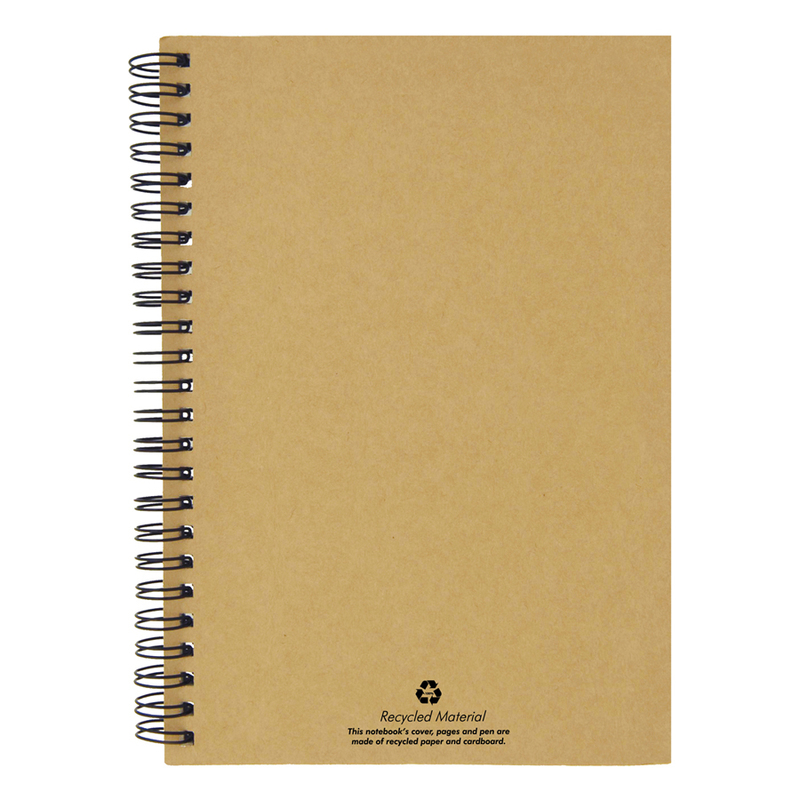 Go "green" by making your favorite note-taking product eco-friendly! 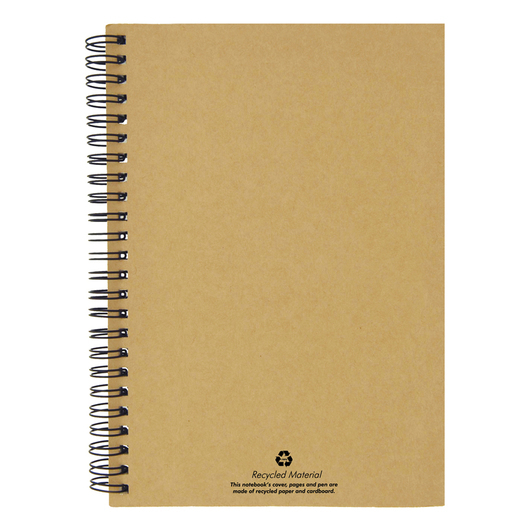 Our recycled paper notebook products are manufactured from recycled paper to help our planet earth green once more. 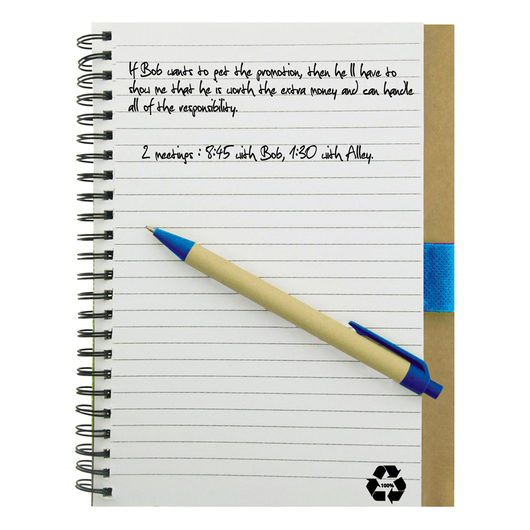 Be a part of a bigger solution to make the earth greener by purchasing and using our recycled paper notebooks! 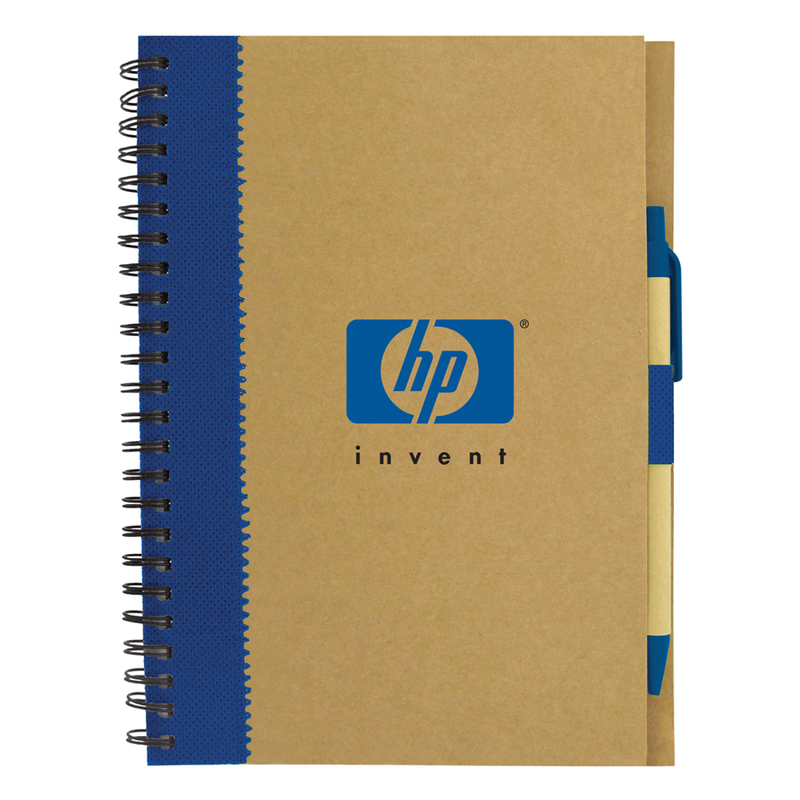 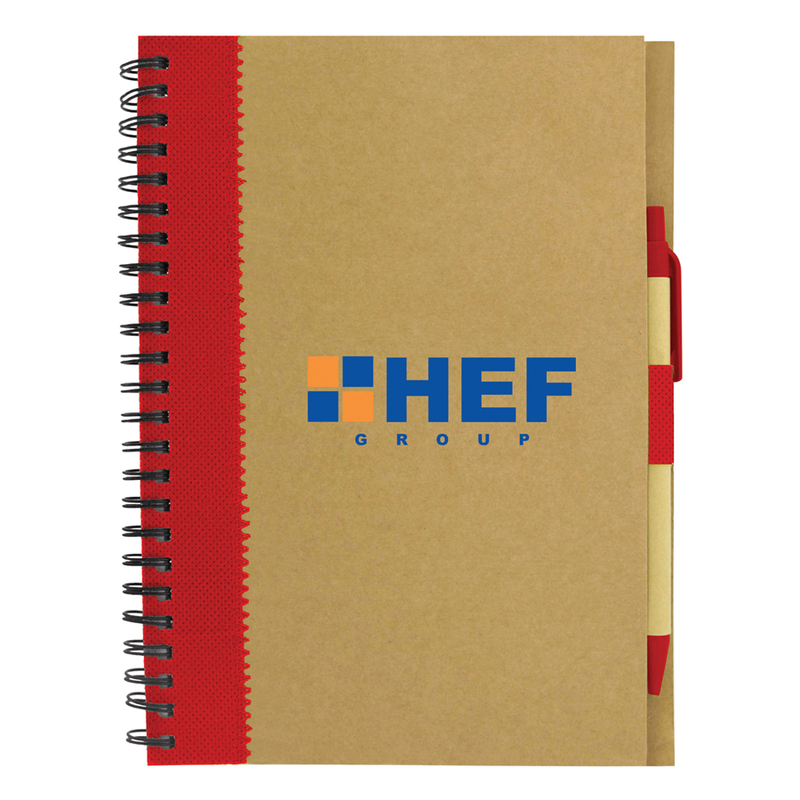 These notebook comes with a heavy cardboard cover made from recycled paper, the colour stripe is made from recyclable nonwoven material and has 70 pages of recycled lined paper. Other features include a blank black ink pen made from recycled paper and a metal ring binding. The back cover and each page feature the recycled logo. 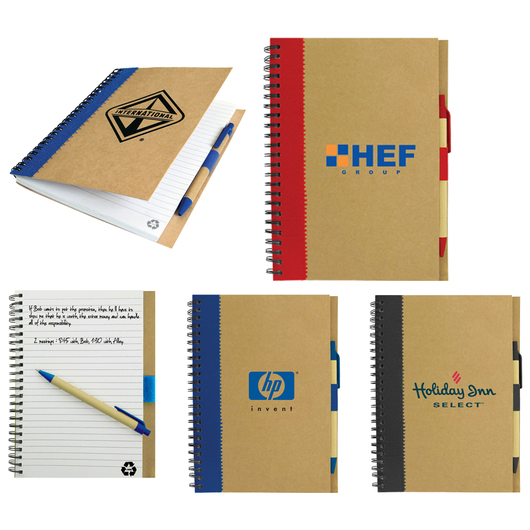 Item cover is made from 100% recycled material.